"Biki" is my little mouse character. His original function was to help in my teaching. I used him for sample animations and in written and illustrated notes. I was teaching at Bilkent University at the time, hence the name! 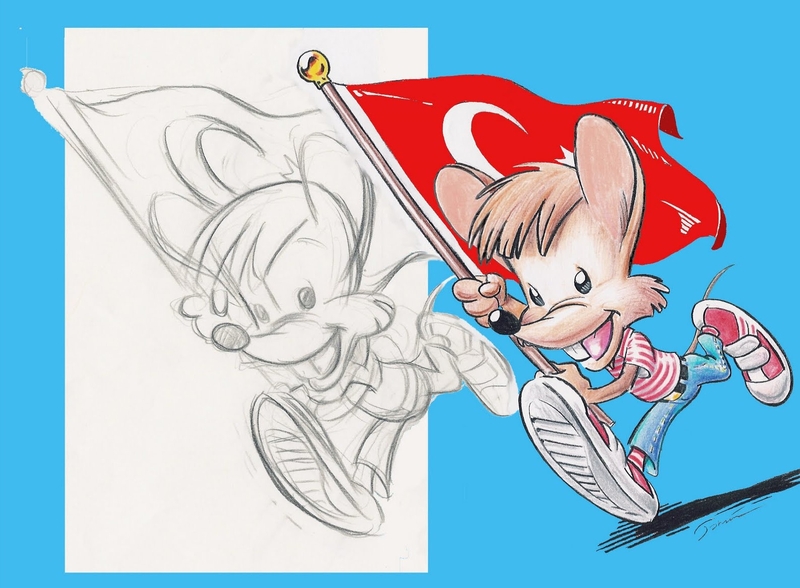 Drawing by Tahsin Özgür, color selection by Lâle Özgür.